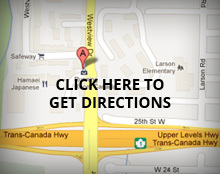 Where can you find North Van Dental? North Van Dental is conveniently located at the Westview Shopping Center, in the main plaza near Safeway and the BC Liquor Store. For driving directions, additional information and appointment scheduling, please visit our Contact page. What does North Van Dental offer you? We offer appointments in the evening and on the weekend, free parking, wheelchair accessibility and everything from oral cancer screenings to veneers to make your smile shine. We accept most major dental insurance. Please contact us for details. If you would like to learn more about the services we offer, please visit our Services page. Want to learn more about our dedicated team? Dr. Romeo Grossi‘s bio is coming soon!